As part of our Christmas gift, our daughter promised my husband and me that she would take us out to lunch and then let each of us choose a book from her favorite local, independent bookstore, A Good Book, in historic downtown Sumner, WA. Last Saturday was the day for the fulfillment of that promise. Here are three items of interest from that trip. My husband and our daughter are REALLY into tea. (I like it, but I don’t study it and work on perfecting my tea-making technique as they do.) So a trip to A Good Book allowed for another stop at Tea Madame Tea Shop, also in Sumner. Even for a casual visitor like me, this is a wonderful place to visit. In addition to all the containers of tea, the shop offers a big selection of tea pots, tea cups, tea infusers, and any other kind of tea-related apparatus or accompaniment you can think of. And I even found a decaf version of Earl Grey, one of my tea favorites, that I can enjoy on evenings when I curl up with a good book. I was pleased to see these crocuses, the first flowers I’ve seen this spring. 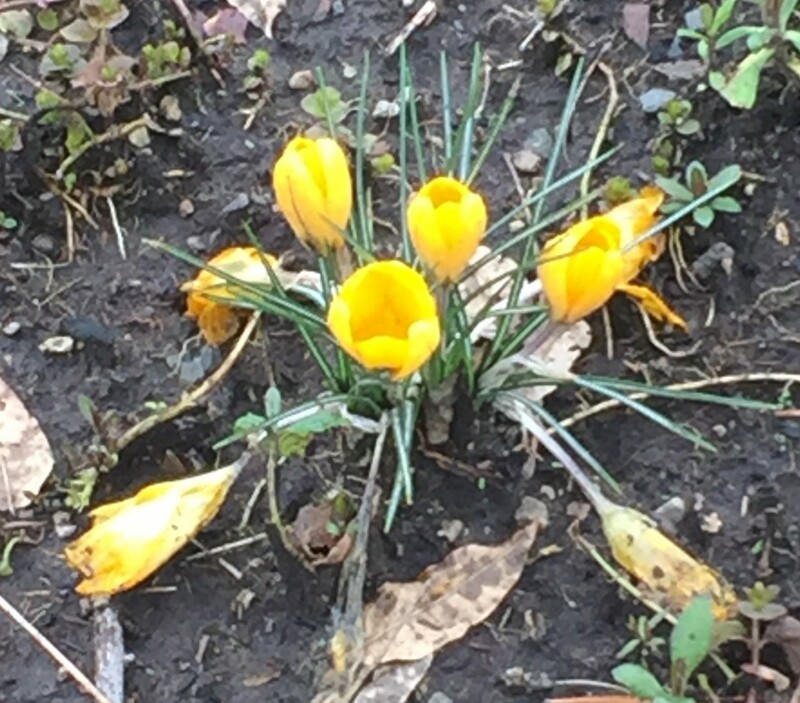 I have since noticed some pansies that people have apparently set out recently, but these crocuses are the first flowers I’ve seen that sprout and bloom on their own. Way to go, Mother Nature. I had heard and read so much about this novel that I had to have it. 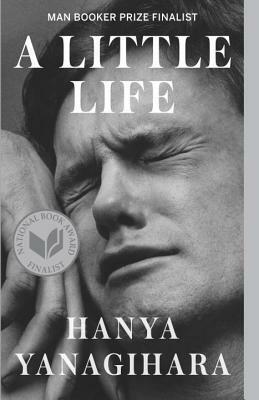 At 832 pages, A Little Life qualifies as a Big Book. I’m about 1/3 of the way in, and I’m loving it so far. Tom Wolfe’s novel A Man in Full taught me the lesson of not passing judgment on a book, particularly a Big Book, until I’ve finished it, but as soon as I finish writing this post I’m going to make some decaf Earl Grey and curl back up with this chunk.